To say that I’ve been absolutely hideous at this blogging lark is a complete and utter understatement. I could use the fact that I have considerably cut down on my eating out as an excuse, but when cutting down means your still eating out at least once a week, it really doesn’t serve the purpose of being an excuse. Thus I simply apologise for being crap. 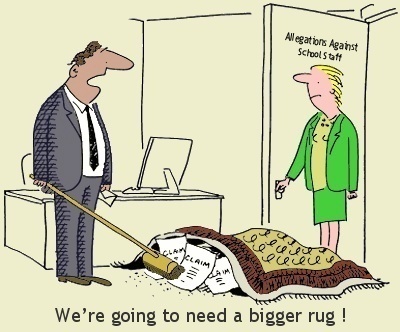 Now that’s over with, in the words of my best friend “we can sweep it under the carpet” and move forward. On a pleasant day in January, after having battled with Flu and come out winning, I arranged to meet a friend for some Brunch. Usually a bit of a control freak, either that or people just leave it down to me, I was happy to hand off when she suggested The Delaunay and booked it. It wasn’t until I got there that I was told that it had either been mentioned, featured or was simply the kind of place that should be mentioned or featured in Made in Chelsea – a topic that cropped up a few times due to Miss M’s new found obsession. When I got to the restaurant – a rather grand space with high ceilings, pleasantly spaced out tables, mirrored and wooden panels – Miss M was already seated and sipping tea in order to aid the hangover from the night before. The service was snappy and attentive with the waiters coming over to us numerous times before we were ready to order (numerous times as it took us longer than necessary). 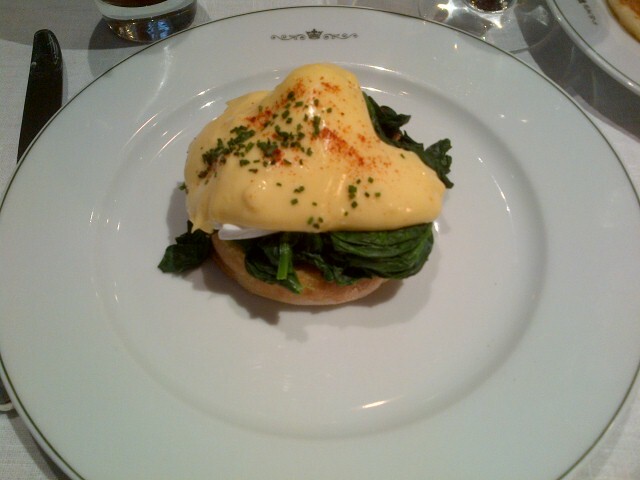 I started with a latte and after much deliberation, ordered the Eggs Florentine. Miss M decided to push the boat out and ordered what is apparently an All American Classic – Pancakes with Bacon & Maple Syrup. My latte arrived first, apparently in the traditional style and therefore accompanied by a small glass of water. This was quite swiftly followed by the Eggs Florentine. To be perfectly honest, I was slightly disappointed by my choice. The hollandaise was luke warm which meant that it ended up being a bit too thick and almost setting on top of the egg rather than softly flowing down the side. This also meant that the whole dish was slightly heavier to eat than I would have liked. Had the dish been served hot, it would have been a lot more enjoyable given that the overall flavours and seasoning was good. Miss M’s Pancakes with Bacon & Maple Syrup arrived at the same time. Although seen as an All American Classic, this is definitely one to miss if your anti the whole mixing of sweet and savoury foods. 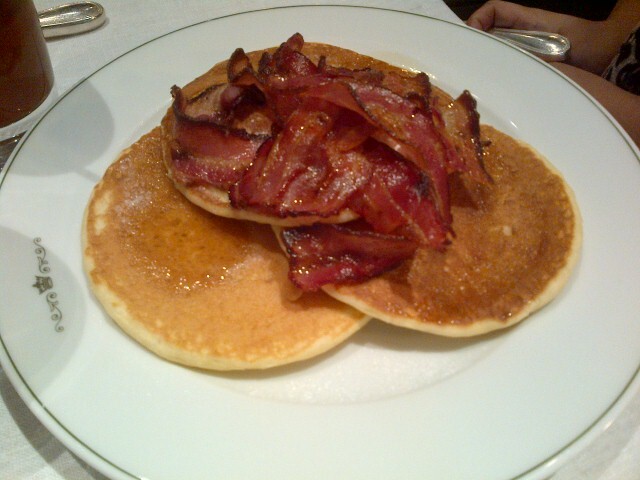 The pancakes were light and fluffy and the bacon was perfectly crispy. The maple syrup was served on the side so you could add as much or as little as you wished, however personal preference meant that had I ordered the dish, I could imagine feeling slightly sick from the sheer size of the portion after a while. Half way through our Chelsea style brunch, we got thirsty for more Chelsea, so obviously went on to order Bloody Mary’s Darrrrlinggg! These were not only delicious but extremely addictive. I’ve had a number of Bloody Mary’s over the years and some lack seasoning or spice, these were perfectly balanced and given that we went through three rounds, they were obviously very very drinkable! Despite eating so much, and being fairly full, when the waiter offered us the dessert menu, we couldn’t help but look. The outcome was obviously placing an order, besides it would have been rude not to. 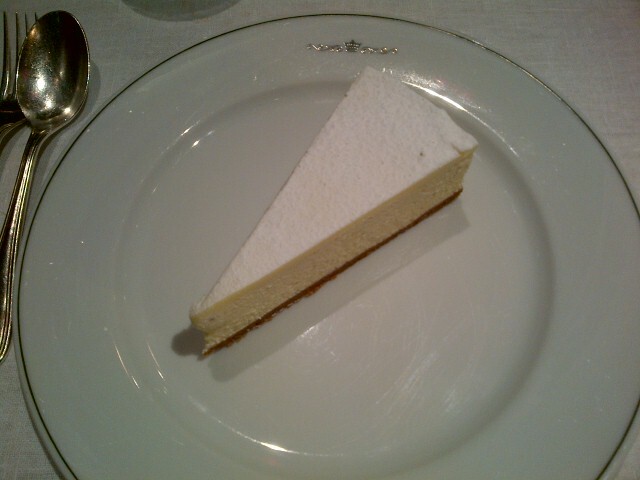 We ordered the Baked Vanilla Cheese cake which was utterly moreish. We finally asked for the bill after confirming that The Delaunay is definitely somewhere for the lady that lunches, or at least the lady that would like to lunch. Its a smart space reminiscent of old school glamour and is just as nice for a brunch as it would be for a special occasion. 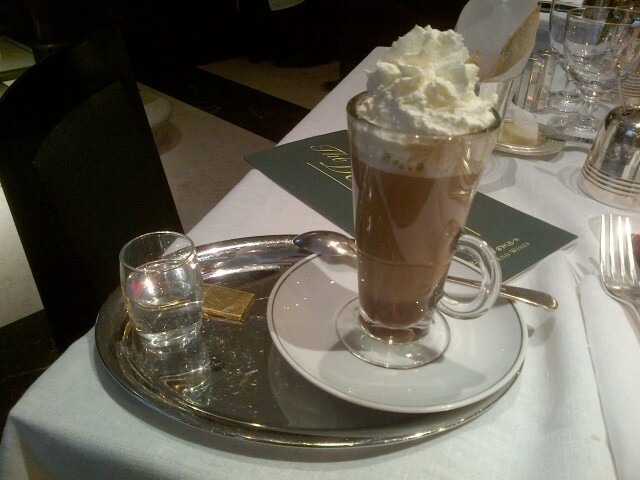 Have you been to The Delaunay? What did you think? Do you have an email I can reach you on? I have an exciting opportunity I’d love for you to be part of. Hi Ella, thank you for your comment, I haven’t had a chance to visit The Wolseley as yet but will do soon I hope! My email address is jsabnani@aol.com.